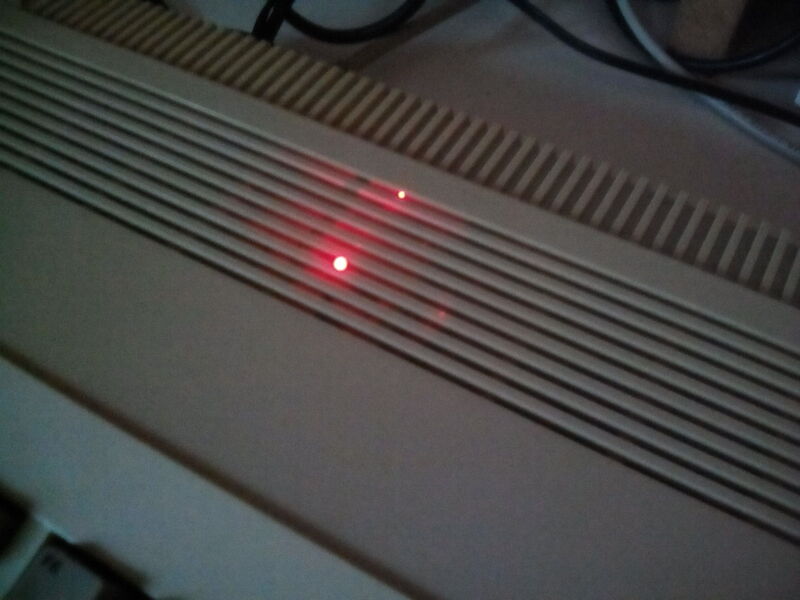 AMIGA alive: Building the TerribleFire TF530 accelerator board, part 5: Testing. More testing. And... happiness. Anyway, what's happened since part 4 of this series? It seems that the 33Mhz 68030 doesn't like overclocking very much - but with a 32MHz oscillator (33Mhz oscillators seem to be rare), it now runs stable! I expect a few more issues - like checking RAM soldering points - but for now I declare it "working fine". 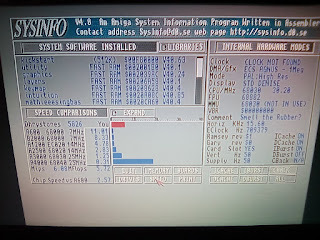 It boots quickly from the 512MB CompactFlash card attached, and with the additional 2MB of RAM on the TF530 and the new 3.1 Kickstart ROM the A500 is now an up-to-date, very usable Amiga! From a personal perspective, I can say that I've learned a lot. I mean: A LOT. Stephen Leary's videos give a huge amount of information, and by building the accelerator I've expanded my set of tools, improved my soldering skills, and gained some knowledge about the parts used. 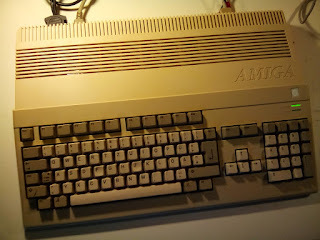 Overall, for me it's a huge step forward in understanding the inner workings of Amiga computers, the TF530, and electronics in general. And of course the Amiga 500 got a huge update, it's a completely different machine now. For a very reasonable (money-wise) price. Still, there are a few things to keep in mind about the TF530 accelerator and the build process: First of all it takes an insane amount of time to build, if you don't know what you're doing beforehand. I certainly didn't. There was a lot of research involved, on all levels. Secondly, the TF530 is clearly not an industrial-grade product: it's an "in progress" project, a moving target. You have several options when it comes to CPU and oscillator, and these have some interdependence with the firmware releases, which are still going on. 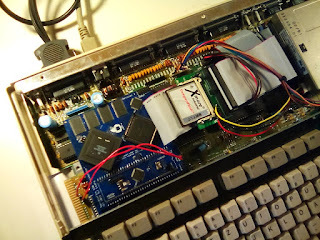 The physical layout of the TF530 isn't perfect, you (may) need a relocator board to fit it into your Amiga, you (may) need to use specific connectors, and still it fits only barely between the Amigas other components and casing. For example, adding a Kickstart-switch may turn out to be quite difficult now with the TF530 in place. Thank you, Mr. Stephen Leary! and lighting up the fire - the TerribleFire! So far, so good. I currently consider this to be the last entry in my little series about building the TerribleFire 530 accelerator board. But who knows. And there's so much more to do... maybe a TF328?